ILMC, ALMS: Petit Le Mans entry list, event information. 1 Audi Sport Team Joest – Audi R18 TDi – Bernhard/Fässler/Dumas – Michelin. 2 Audi Sport Team Joest – Audi R18 TDi – McNish/Kristensen/Capello – Michelin. 6 MuscleMilk AMR – AMR/Lola Coupe B08 62 – Luhr/Graf/Pickett – Michelin. 7 Peugeot Sport Total – Peugeot 908 – Davidson/Bourdais/Pagenaud – Michelin. 8 Peugeot Sport Total – Peugeot 908 – Montagny/Sarrazin/Wurz – Michelin. 10 Oreca Matmut – Peugeot 908 HDI-FAP – Lapierre/Minassian/Gené – Michelin. 12 Rebellion Racing – Lola B10/60 Coupé-Toyota – Prost/Jani/Belicchi – Michelin. 15 OAK Racing – OAK Pescarolo-Judd – Lahaye/Moreau/Ragues – Dunlop. 16 Dyson Racing – Lola B09/86-Mazda – Dyson/Smith/Cochran – Dunlop. 20 Oryx Dyson Racing – Lola B09/86-Mazda – Al Masaood/Kane/Leitzinger – Dunlop. 24 OAK Racing – OAK Pescarolo-Judd – Yvon/Pla/Premat – Dunlop. 007 Aston Martin Racing – AMR/Lola Coupe B09 60 – Fernandez/Mücke/Primat – Michelin. 012 AutoCon Racing – Lola B06/10-AER – Burgess/McMurry/Willman – Dunlop. 22 United AutoSports – OAK Pescarolo-Judd – Brown/Johansson/Patterson – Dunlop. 26 SignaTech Nissan – Oreca03-Nissan – Mailleux/Ordoňez/Vernay – Michelin. 33 Level5 Motorsports – HPD ARX-01G – Tucker/Bouchut/Barbosa – Michelin. 35 OAK Racing – OAK Pescarolo-Judd – Da Rocha/Lafargue/Nicolet – Dunlop. 35 Level5 Motorsports – HPD ARX-01G – Tucker/Diaz/Franchitti – Michelin. 3 Corvette Racing – Chevrolet Corvette C6 ZR1 – Beretta/Milner/Garcia – Michelin. 4 Corvette Racing – Chevrolet Corvette C6 ZR1 – Gavin/Magnussen/Westbrook – Michelin. 17 Falken Tire – Porsche 911 GT3 RSR – Henzler/Sellers/Ragginger – Falken. 40 Robertson Racing – Doran Ford GT – Robertson/Snow/Murry – Michelin. 48 Paul Miller Racing – Porsche 911 GT3 RSR – Miller/Maassen/Collard – Yokohama. 51 AF Corse – Ferrari F58 Italia – Fisichella/Bruni/Kaffer – Michelin. 55 BMW Motorsport – BMW E92 M3 – Auberlen/Werner/Farfus – Dunlop. 56 BMW Motorsport – BMW E92 M3 – Müller/Hand/Priaulx – Dunlop. 58 Luxury Racing – Ferrari 458 Italia – Firman/Jakubowski/Halliday – Michelin. 59 Luxury Racing – Ferrari 458 Italia – Ortelli/Makowiecki/Beltoise – Michelin. 64 JetAlliance Lotus – Lotus Evora – Slingerland/Rich/Kasper – Michelin. 65 JetAlliance Lotus – Lotus Evora – Rossiter/Mowlem/Heinemier. 98 JaguarRSR – Jaguar XKR – Jones/Moran/Lewis – Dunlop. 99 JaguarRSR – Jaguar XKR – Junqueira/Wilden/James – Dunlop. 01 Extreme Speed Motorsports – Ferrari 458 Italia – Sharp/van Overbeek/Farnbacher – Michelin. 02 Extreme Speed Motorsports – Ferrari 458 Italia – Brown/Cosmo/Bell – Michelin. 044 Flying Lizard Motorsports – Porsche 911 GT3 RSR – Law/Neiman/Holzer – Michelin. 045 Flying Lizard Motorsports – Porsche 911 GT3 RSR – Bergmeister/Long/Lieb – Michelin. 062 Risi Competizione – Ferrari 458 Italia – Melo/Vilander/Matos – Michelin. 50 Larbre Corvette – Chevrolet Corvette C6-ZR1 – Bornhauser/Canal/Gardel – Michelin. 57 Krohn Racing – Ferrar F430 – Krohn/Jönsson/Rugolo – Michelin. 60 Gulf AMR Middle East – Aston Martin Vantage – Giroix/Goethe/Wainwright – Dunlop. 61 AF Corse – Ferrari F430 – Kauffman/Aguas/Bell – Michelin. 62 CRS Racing – Ferrari F430 Ehret/Mullen/Wills – Michelin. 63 Proton Competition – Porsche 911 GT3 RSR – Lietz/Ried/Bullitt – Michelin. 18 PerformanceTech Motorsports – Oreca FLM-09 – Nicolosi/Boon/Lueders. 36 Genoa Racing – Oreca FLM-09 – Grogor/Mitchell/Kronfli. 37 Intersport Racing – Oreca FLM-09 – Field/Field. 52 Mathiasen Motorsports – Oreca FLM-09 – Dobson/Richard/Lewis. 89 Intersport Racing – Oreca FLM-09 – Marcelli/Drissi/Ducote/Ducote. 05 Core AutoSport – Oreca FLM-09 – Bennett/Montecalvo/Dalziel. 06 Core AutoSport – Oreca FLM-09 – Jeanette/Gonzalez/Junco. 063 Genoa Racing – Oreca FLM-09 – Lux/Julian/Zugel. 23 Alex Job Racing – Porsche 911 GT3 Cup – Rast/Keen/Wong. 54 Black Swan Racing – Porsche 911 GT3 Cup – Pappas/Bleekemolen/Bleekemolen. 66 TRG – Porsche 911 GT3 Cup – Ende/Ludwig/Pumpelly. 68 TRG – Porsche 911 GT3 Cup – Keating/Norman/von Moltke. 77 Magnus Racing – Porsche 911 GT3 Cup – Potter/Craig Stanton. Americanlemans.com – stream not available to users within the US. – Confirmed. 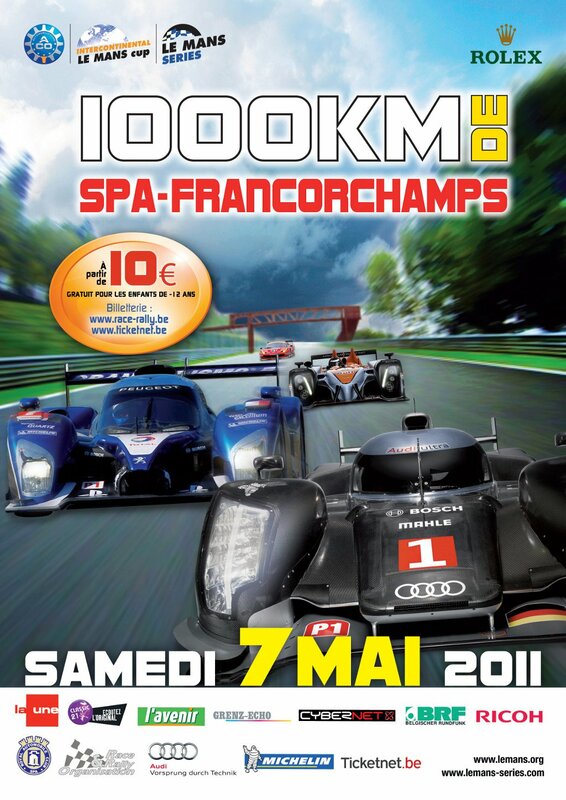 Lemans.org (via DailyMotion – direct link). *Global feed – Unconfirmed. Audi TV. *Global feed – Unconfirmed. – Live audio (RadioLemans – commentary also available via official live stream). 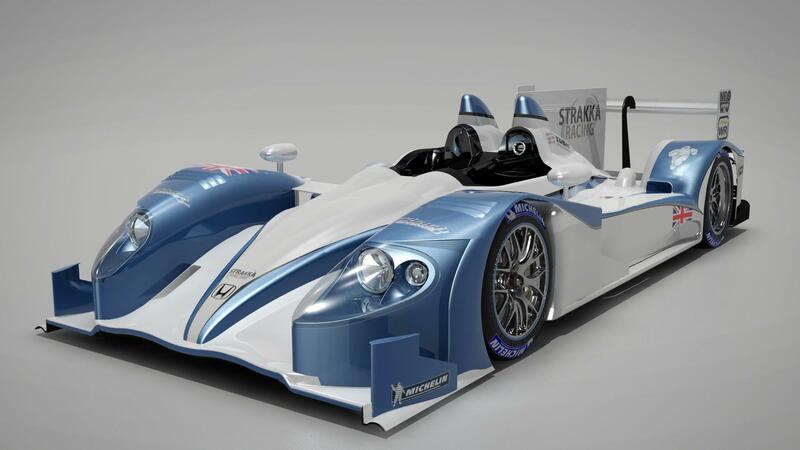 WEC: Strakka Racing announces 2012 plans; HPD LMP1 for World Endurance Championship. HPD's latest LMP iteration, the ARX-03A; Strakka Racing's weapon of choice for the 2012 FIA World Endurance Championship. - Image courtesy Strakka Racing. Esteemed British team, Strakka Racing today revealed the highly anticipated details of their 2012 programme by announcing plans to field an LMP1 HPD chassis/engine package in the inaugural running of the FIA World Endurance Championship. Preparing for a factory onslaught against Audi, Peugeot, and potentially other marques, the 2010 Le Mans P2 champions will likely fly the sole Honda flag within the new World Endurance Championship. At least for the foreseeable future. As part of the outfit’s long-term strategy, the multi-year, factory endorsed programme will see Strakka campaign an HPD chassis for three years. Commencing in 2012. As with past programmes, the project will again be a collaborative development between California-based HPD and British firm, Wirth Research. Reportedly an entirely new chassis design, the car will bear the designation ARX-03a and, according to Wirth Research founder/director, Nick Wirth, development has taken into consideration many lessons learned from past 02a, and 01e LMP1 designs. In addition, the package will be powered by a naturally-aspirated, HPD 3.4L powerplant. Further technical details are not yet known. The announcement marks Strakka Racing’s second foray within the LMP1 category. Following the squad’s brief utilisation of Zytek’s GZ09S LMP1 chassis during the 2009 season. 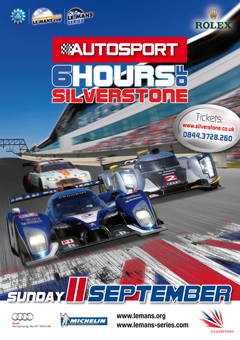 ILMC, LMS: Six Hours Silverstone entry list, event information. – Live audio (Radio Le Mans). LM24: Porsche announces Le Mans return for 2014. The 917K sports 5000 prototype of KG Salzburg; Porsche's first outright Le Mans winner. - Image courtesy Porsche Motorsport. After years of intense speculation, Porsche AG today confirmed its long-rumoured intentions for a return to the top-tier of sports prototype racing via the release of a promotional video (see below), signaling its plans to enter the currently factory-diesel dominated LMP1 ranks as of 2014. Porsche Motorsport revealed preliminary details of the marque’s historic return by announcing the undertaking of its LMP1 development programme, with a planned factory assault for outright honours at the the 2014 edition of the Le Mans 24 hour event. Technical information has not yet been provided. Further details regarding the nature of the chassis, engine, or programme are yet to be confirmed. Porsche's most recent outright Le Mans winner, the 911 GT1. - Image courtesy Porsche Motorsport. 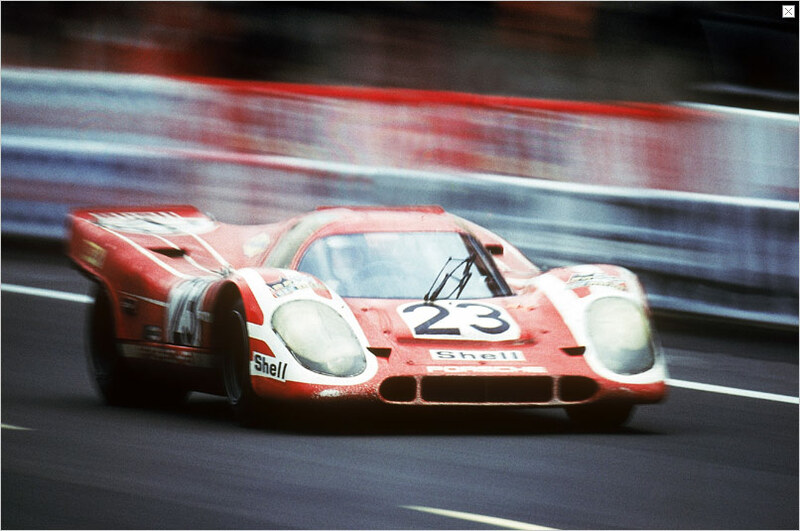 “Porsche’s successes in Le Mans are unrivalled. We want to follow up on this with the 17th outright victory.” – Matthias Müller, President of the Executive Board at Porsche AG. Given Porsche’s already clear desire for the development, demonstration, and motorsport application of energy recovery technologies (as evidenced by the GT3R Hybrid), the manufacturer’s new LMP is expected to be bear a petrol-hybrid powertrain. This is yet to be confirmed by official sources, and likely dependent on allowances afforded by (not-yet published) ACO technical regulations. 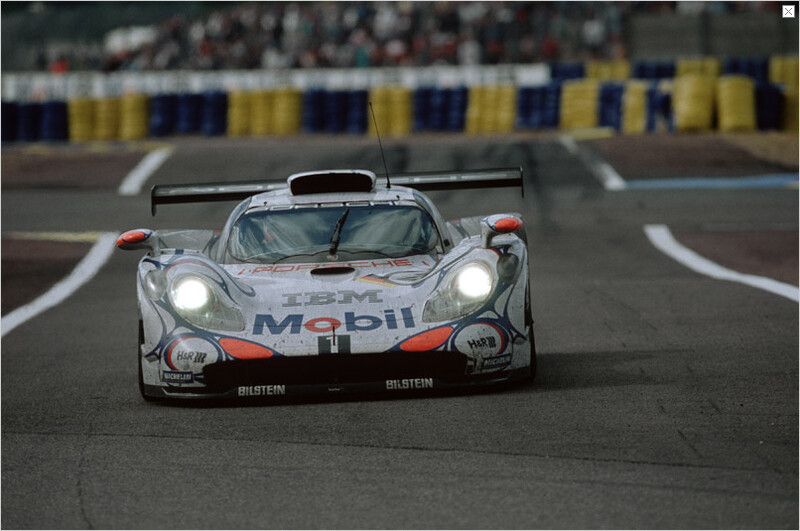 Porsche last raced for outright honours in 1998, when the marque’s factory lineup of McNish, Ortelli and Aiello secured the German manufacturer’s sixteenth and most recent outright victory at Le Mans. What effect (if any) the announcement may have on the motorsport future of VAG sister company, Audi is yet to be confirmed. “We’re looking forward to the task of developing new technologies and to continue on with the success of the Porsche RS Spyder. After the conclusion of our works-supported sports prototype programme in the American Le Mans Series we have kept up with the latest technological advances. 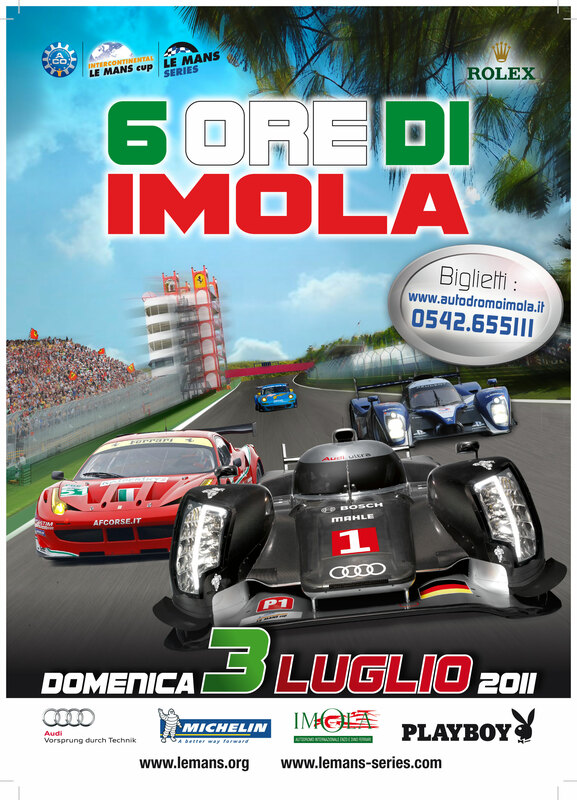 ILMC, LMS: Imola 6H entry list, event details. 2 Audi Sport Team Joest – Audi R18 TDi – McNish/Kristensen. 7 Peugeot Sport Total – Peugeot 908 – Bourdais/Davidson. 8 Peugeot Sport Total – Peugeot 908 – Montagny/Sarrazin. 12 Rebellion Racing – Lola B10/60 Coupé-Toyota – Prost/Jani. 15 OAK Racing – OAK Pescarolo-Judd – Moreau/Ragues. 16 Pescarolo Team – Pescarolo-Judd – Collard/Tinseau. 18 Guess Racing Europe – Lola B09/80 Coupé-Judd – Ebbesvik/Ducote/Marcelli. 23 MIK Corse – Zytek 09 – Cortes/Geri/Piccini. 26 SignaTech Nissan – Oreca03-Nissan – Mailleux/Ordoñez/Ayari. 33 Level 5 Motorsports – Lola-HPD – Tucker/Bouchut/Barbosa. 35 OAK Racing – OAK Pescarolo-Judd – Barlesi/Da Rocha/Lafargue. 36 RML – HPD ARX-01d – Newton/Erdos/Collins. 39 PeCom – Lola B11/40 – Judd – Companc/Russo/Kaffer. 40 Race Performance – Oreca 03-Judd – Frey/Meichtry/TBA. 41 Greaves Motorsport – Zytek Z11SN-Nissan – Ojjeh/Kimber-Smith/Lombard. 42 Strakka Racing – HPD ARX-01d – Leventis/Watts/Kane. 43 RLR MSport – MG Lola EX265-Judd – Gates/Garofall/Philipps. 44 Extreme Limit AM Paris – Norma M200P-Judd – Rosier/Basso. 45 Boutsen Energy Racing – Oreca 03-Nissan – Kraihamer/De Crem. 46 TDS Racing – Oreca 03 – Nissan – Beche/Thiriet/Firth. 49 OAK Racing – OAK Pescarolo-Judd – Nicolet/Hein. 51 AF Corse – Ferrari F458 Italia – Fisichella/Bruni. 55 BMW Motorsport – BMW M3 – Farfus/Müller. 56 BMW Motorsport – BMW M3 – Werner/Lamy. 58 Luxury Racing – Ferrari F458 Italia – Jakubowski/Beltoise. 59 Luxury Racing – Ferrari F458 Italia – Ortelli/Makowiecki. 64 Lotus JetAlliance – Lotus Evora – Slingerland/Rich/Lichtner-Hoyer. 65 Lotus JetAlliance – Lotus Evora – Rossiter/Mowlem/Hirschi. 66 JMW Motorsport – Ferrari F458 Italia – Bell/Walker. 71 AF Corse – Ferrari F458 Italia – Melo/Vilander. 75 ProSpeed Competition – Porsche 911 RSR (997) – Goossens/Holzer. 76 IMSA Matmut – Porsche 911 RSR (997) – Pilet/Henzler. 77 Felbermayr-Proton – Porsche 911 RSR (997) – Lieb/Lietz. 79 JOTA – Aston Martin Vantage – Hancock/Dolan. 89 Hankook Team Farnbacher – Ferrari F458 Italia – Farnbacher/Simonsen. 50 Larbre Competition – Corvette C6-ZR1 – Bornhauser/Gardel/Canal. 57 Krohn Racing – Ferrari F430 – Krohn/Jönsson/Rugolo. 61 AF-Corse – Ferrari F430 – Perazzini/Cioci/Lémeret. 62 CRS Racing – Ferrari F430 – Ehret/Lynn/Wills. 63 Proton Competition – Porsche 911 RSR (997) – Long/Roda/Ried. 67 IMSA Matmut – Porsche 911 RSR (997) – Narac/Armindo. 82 CRS Racing – Ferrari F430 – Hummel/Christodoulou/Quaife. 88 Felbermayr Proton – Porsche 911 RSR (997) – Felbermayr Snr (! )/Felbermayr Jnr/Miller. 91 Hope Racing – Oreca FLM-09 – Moro/Shanqi/Graves. 92 Neil Garner Motorsport – Oreca FLM-09 – Hartshorne/Keating/Keen. 93 Genoa Racing – Oreca FLM-09 – Petersen/Julian/Zugel. 95 Pegasus Racing – Oreca FLM-09 – Schultis/Simon/Schell. 99 JMB Racing – Oreca FLM-09 – Rodriguez/Menahem/TBA. LMP1: 9 LMP2: 13 GTE-PRO: 14 GTE-AM: 8 FLM: 5 Total: 49. Having finalised 2012 plans for the various championships under its administration, the FIA today revealed details of a new partnership with the Automobile Club de l’Ouest, organisers of the Le Mans 24 Hour, and Intercontinental Le Mans Cup, during a council meeting in Barcelona. Under the recently revealed plans, the Intercontinental Le Mans Cup will commence operation under the FIA banner, assuming the name and role of ‘FIA World Endurance Series’ as of 2012. The ACO will continue to operate as the administrative and regulatory body for the championship. Unlike the current ILMC, the new series will award World Endurance Championship titles to both constructors and drivers, within each category. Despite regulatory changes in other sportscar categories under the FIA’s jurisdiction, the new World Endurance Championship is expected to maintain its current class structure (i.e. LMP, GTE etc), and remain a standalone series. 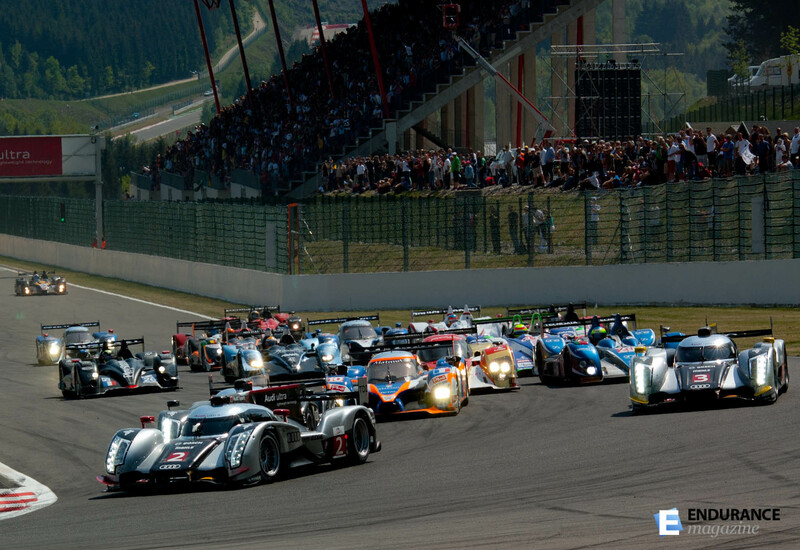 The WEC will consist of at least six events, including the Le Mans 24 Hour. It remains unclear as to how the involvement of both Le Mans Series, and American Le Mans Series events will be affected. The official release (found here) also details plans for revisions to the current FIA GT1 World championship. With plans indicating the current series will continue operation under the title ‘World GT Championship’, and allow entry to a greater array of GT machinery. As of 2012, the revised ‘World GT Championship’ will accept 2011 GT3, and 2009 GT2 chassis, in addition to current GT1 vehicles. The series will continue to operate under the sprint format. It should be noted that, despite both operating under the FIA banner (and allowing entry to LM-GTE eligible vehicles), the ‘World Endurance Championship’ and ‘World GT Championship’ will continue to operate as separate entities, and standalone series. “I am very happy we have reached this agreement with the FIA, a partnership which underlines the rightful place that endurance racing has in motorsport, something we have been promoting since we first established the 24 Hours of Le Mans race in 1923. LMS, ILMC: Spa Provisional Entry List Released. Entry listings for Spa, round two of the Le Mans series (also the second round of the ILMC) are now available. Bolstered by the inclusion of ILMC runners, the circuit will play host to an unprecedented (at least in recent history) field of sixty entries. Notable mentions go to the highly anticipated (albeit delayed) appearance of two Lotus Evora entries in the GTE-PRO category, along with the now customary, pre-Le Mans additional entries for Audi, Peugeot, and AMR squads in LMP1. Entry listings can be seen in full below.